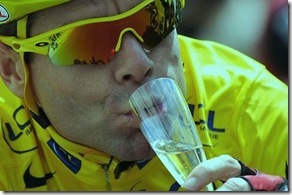 Cadel Evans is the first Australian to win the world’s toughest cycling race “ the tour de france”. At 34 he’s also the oldest winner of the Tour in nearly 90 years and he had a word or two in his wining commentary for all his skeptics, who had doubted him. His achievements on the cycling race at Tour de France is now set to ensure his status as a barrier-breaking legend of Australian sport. "A few people always believed in me, I believed in me and here we are today," he said after crossing the finish line.